2018/19 rates, thresholds and calculations for PAYE tax, National Insurance contributions, Student Loan deductions, Statutory Sick Pay, Statutory Maternity Pay, Statutory Adoption Pay, Statutory Paternity Pay, Statutory Shared Parental Pay, Automatic Enrolment earnings thresholds and triggers, company cars, vans and fuel. The emergency tax code has changed from 1150L to 1185L. When importing from BrightPay 2017/18, L codes are uplifted by 35, M codes are uplifted by 39 and N codes by 31. Full support for the 2018/19 Scottish Rate of Income Tax (SRIT) codes, rates and thresholds. April 2018 National Living Wage rates. Ability to process 2018/19 HMRC coding notices. Updated P11, P45, P60, P30 and P32 forms. Updated RTI submissions in line with the latest HMRC specifications. BrightPay continues to be officially HMRC Recognised for all submission types (FPS, EPS, NVR, EYU, EXB, CIS300, CISREQ). From April 2018 onwards, the minimum required pension contribution level is 5%, at least 2% of which must be contributed by the employer. 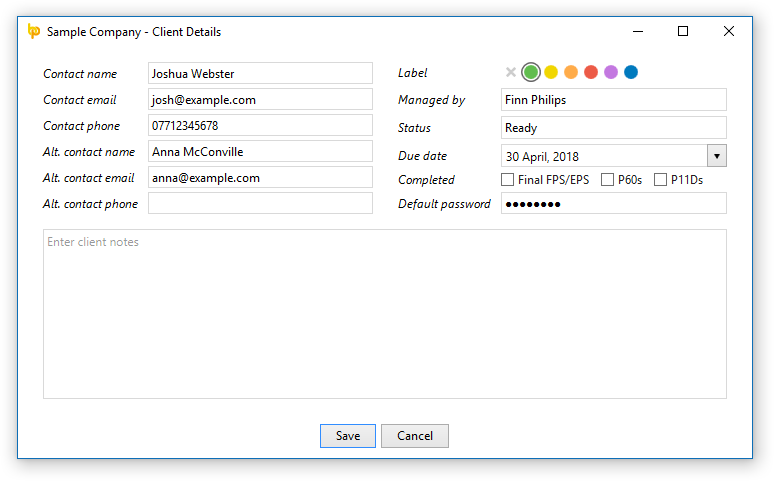 BrightPay 2018/19 now uses and validates against this increased level by default. Where pre-April 2018 minimum levels were being used in 2017/18, BrightPay 2018/19 will automatically uplift them on import. With all employers in the UK now having staged for Auto Enrolment, BrightPay no longer relies on a Staging Date for assessment – all un-actioned employees are automatically assessed and flagged for action as required. Where submissions are outstanding for a pension scheme, BrightPay now more clearly shows the numeric indicators on the Enrolment Summary and/or Contributions Summary buttons for that scheme, depending on the type of submission(s) outstanding. The salutation of Auto Enrolment letters can now be customised. Auto Enrolment letters can now be quickly printed via the new Letters menu in the PENSIONS section of BrightPay. New letter template to tell staff who are already a member of a scheme about the April 2018 minimum contribution increases. New Automatic Enrolment Journey Report replaces the previous Assessment Report. Automatic Re-enrolment date and Declaration of Compliance date can now be shown as columns on the BrightPay startup window. Improved handling of the situation in which Auto Enrolment duties are ignored for one or more pay periods. A popular customer request has been to show columns for number of hours worked and pension contributions on the BrightPay period summary view. In BrightPay 2018/19, you can now easily include these, as well as many more additional column options. There is a new Email button in the print preview of documents and reports in BrightPay which allows you to easily send it as a PDF attachment in an email. Where and when applicable, BrightPay makes it easy and quick to select the relevant employee, client or previously used recipient. Note: In version 18.0, there are a few document types for which email support is not yet available (e.g. P45, SMP1, etc) – we will be adding support for these very soon. 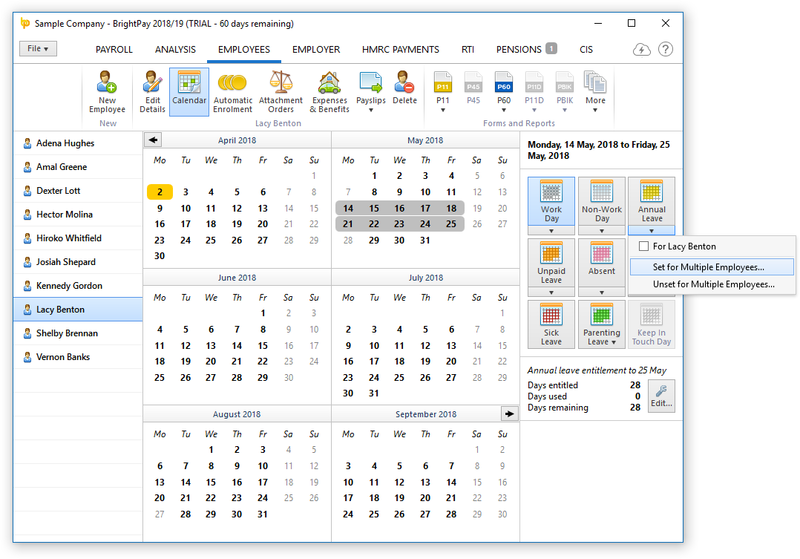 Switch between Year, Month or Week view. Includes general tax year events and deadlines. 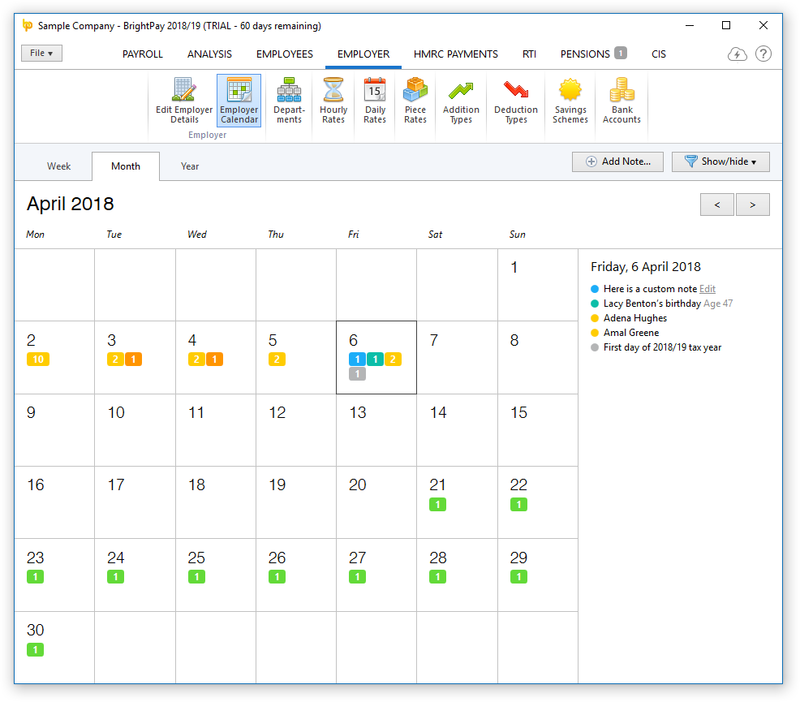 Ability to filter which kinds of events are displayed on calendar and in the day event list. Ability to add/edit/delete your own notes. Ability to batch set working days, non-working days and leave days for multiple employees at once. Holding the Ctrl key allows you to select (or unselect) multiple arbitrary days on the calendar. We've made several key architectural improvements for dealing with large employer files (e.g. those with hundreds or even thousands of employees) with regard to both speed of execution and computer memory usage. This will be something we continue to improve as time goes on. When a text input field receives focus via keyboard tabbing, its content is all selected automatically. 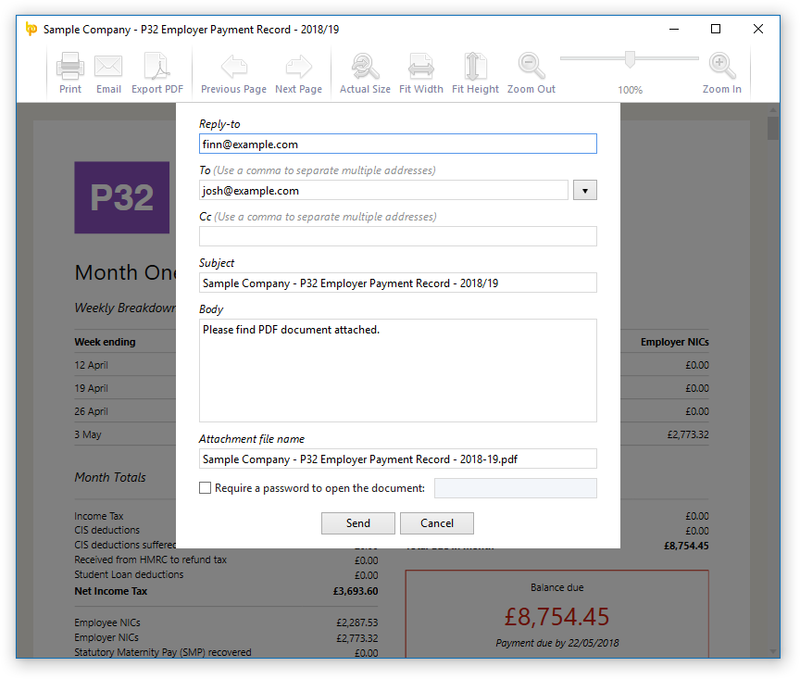 Adds several more customisability options for payslip production. When zero-ising payslips, you can now choose to zero-ise only the overtime (or non-overtime)hourly/daily payments. Enables specific period payments, daily payments, hourly payments, piece payments, additions and deductions to be explicitly hidden on printed payslip. Enables specific period payments, daily payments, hourly payments, piece payments, additions and deductions to be given a custom description to appear on printed payslip. Enables specific period payments, daily payments, hourly payments, piece payments and additions to 'contribute to gross for minimum wage' or not. Ability to set whether or not an hourly rate/payment should accrue hour-based annual leave entitlement. For 'accrued' annual leave days/hours, ability to manually specify additional accrued days/hours not accounted for in payroll (i.e. an adjustment). Annual leave accrual is now calculated up to end of the currently open pay period (rather than up to the end of the last finalised pay period). Printing page setup is now centralised into the File menu of BrightPay. Ability to control whether or not the PDF export settings are remembered between usages. Enables traditional pension schemes to use employer AVCs. Additions or deductions can be set up to calculate as a percentage of the payslip’s basic, gross or net pay. 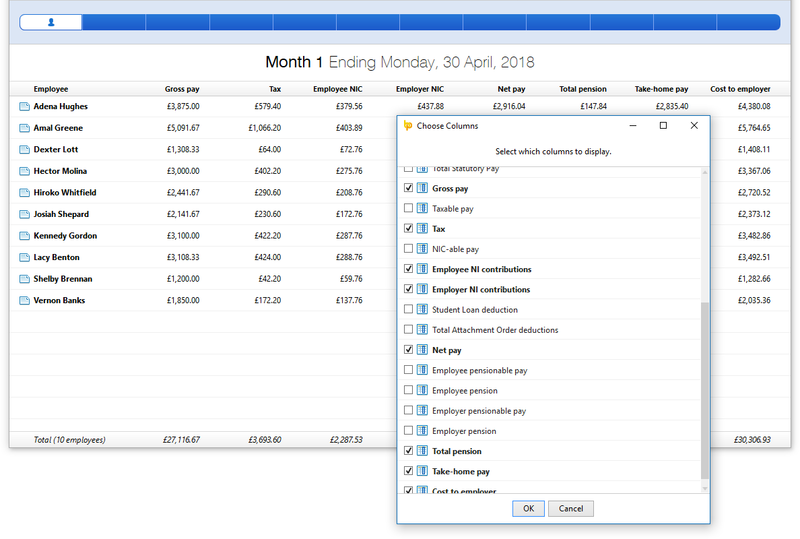 Hourly and daily rates with the same 'description', whether set up at employer level or employee level, are all reported under a single column in analysis. Ability to make additions 'notional' i.e. only contributing towards taxable, NIC-able and/or pension-able pay, without actually giving the payment to the employee (also works for CIS-able pay and subcontractors). Ability to include declaration on FPS (or EYU) that an employee's payment is being made to a non-individual. Ability to easily switch one or multiple employees from one auto enrolment pension scheme to another. Any automatic enrolment pension scheme contribution (whether employee or employer, standard or one-off) can now be entered as a percentage amount or a fixed amount. Support for sending enrolment and contributions submissions directly to Aviva via API. Net to gross functionality can now do ‘Take-home pay to gross’ and ‘Cost-to-employer to gross’. 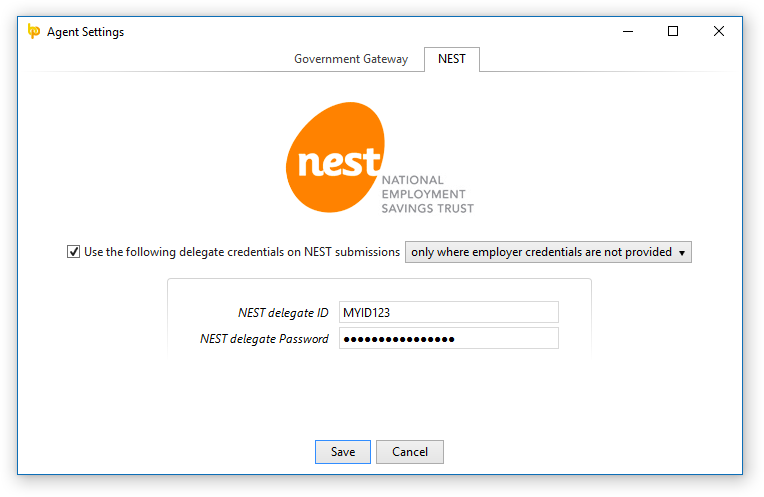 Improvements to handling of 'no longer enrolled' employees in selection lists. Exciting new BrightPay Connect features.